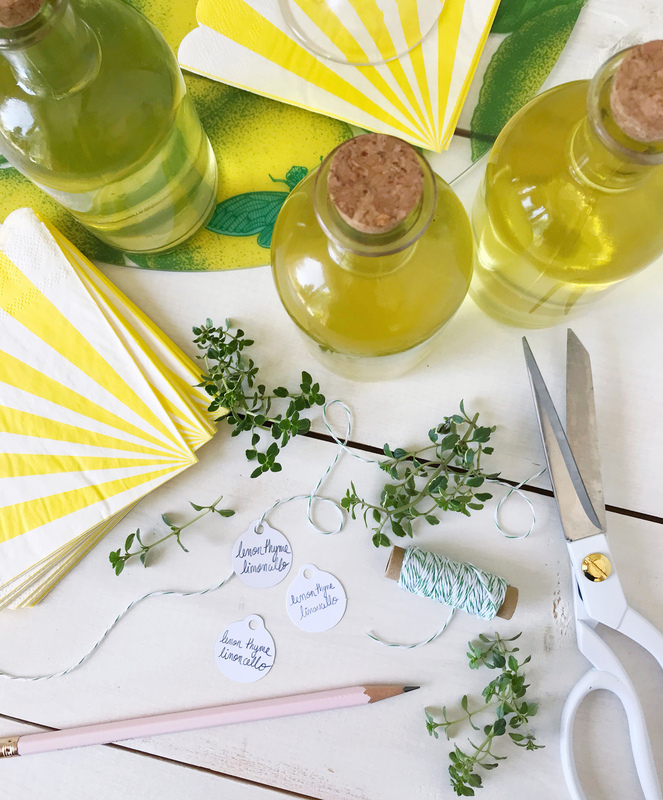 Over the long weekend we had several barbecues to attend, and I got the idea to make a little homemade hostess gift to bring along to each party. 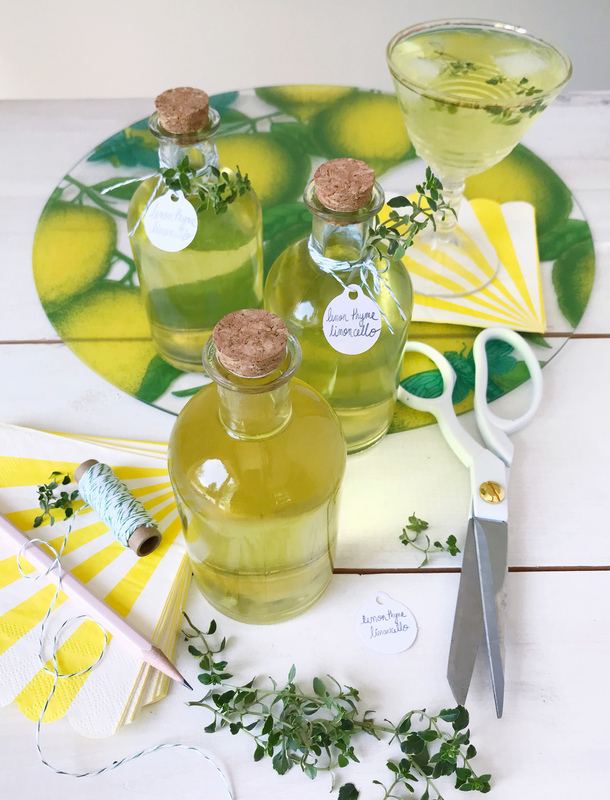 I felt like a real rockstar for coming up with the idea, some homemade limoncello infused with a lemon thyme simple syrup, and getting them packaged up in pretty glass bottles tied with baker’s twine and fresh thyme sprigs. Let me tell you what was not a rockstar move: forgetting them all in the fridge before we embarked on our day of BBQ-hopping! I didn’t realize until I got home that night, that all of my cute hostess gifts were still chilling in the fridge. The good news is, the recipe won’t go to waste — you can find it below to DIY yourself — and the drinks won’t go to waste either. I’ll be pouring myself a limoncello and soda spritzer tonight! 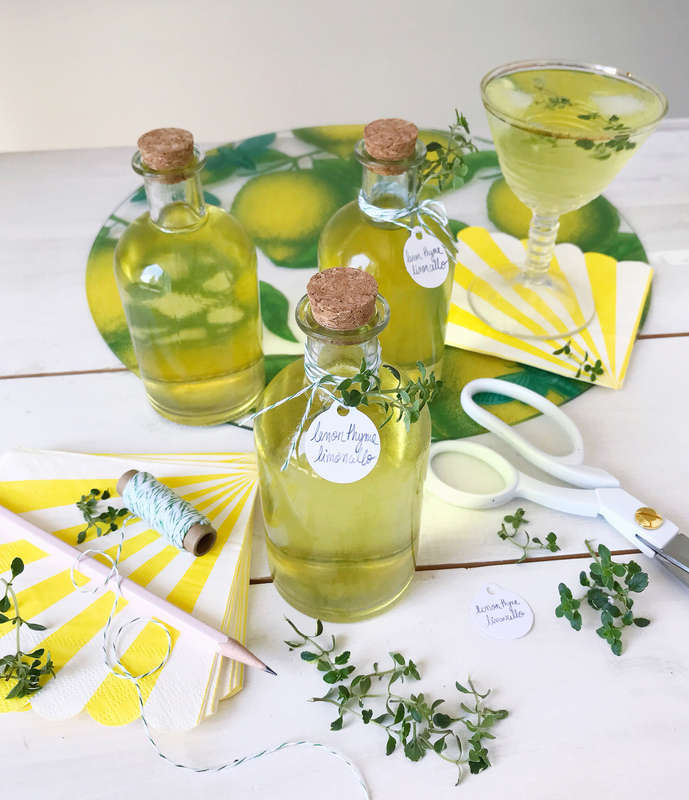 Lemon Thyme Limoncello Hostess Gifts. Peel the skins off 8-10 lemons, trimming away any of the white pith. Put all of the lemon peels in a large jar or carafe, and cover the peels with the vodka. Cover the container with plastic wrap and set aside for 4 days at room temperature, letting the vodka extract flavor from the peels. After four days, strain the vodka mixture to remove the lemon peels and set aside. Heat water, sugar, and thyme leaves, plus 2-3 reserved lemon peels from the vodka mixture, on the stovetop until the sugar dissolves and the syrup reduces by about one half. Cool the simple syrup and combine with the vodka mixture. Pour into bottles to gift, serve over ice by itself, or chill and serve with a splash of soda water. 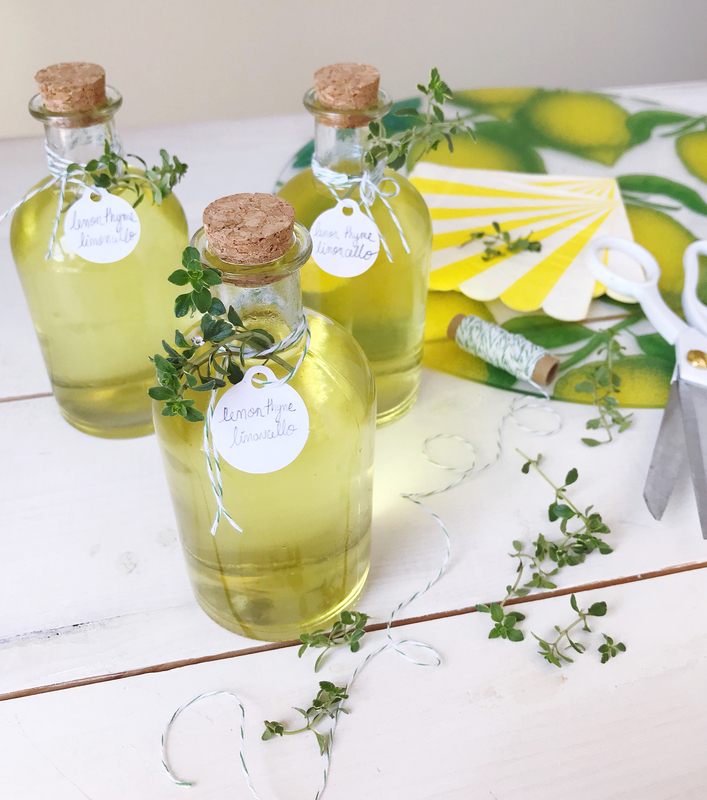 One Response to "Thyme Limoncello Hostess Gifts." These are so so so beautiful!